The platform, expected to be available in first half of 2019, uses cloud-native technologies deriving from its acquisition of flash-native deduplication vendor, StorReduce in August. The Aussie start-up was founded by its CEO, Vanessa Wilson, who launched the company in 2014, backed by venture capital firm, Jelix Ventures. The acquisition enabled Pure Storage to add deduplication technology to its object storage portfolio and expand its public cloud integrations in an effort to manage unstructured data in multi-cloud environments. “With the combination of StorReduce's data reduction capabilities and Pure's flash and object storage technologies, we can now optimise many modern cloud-native applications as well as many existing unstructured data workloads, in particular rapid recovery, at a faster rate,” Wilson explained. Using ObjectEngine, enterprise customers can restore on-demand and enable the use of data in the cloud, as well as meet stringent SLAs without changing their existing back-up workflow. Specifically, it is available in two configurations including ObjectEngine//A,which provides 25TB per hour back-up and 15TB per hour restore performance. ObjectEngine//Cloud offers near-linear scaling to deliver 100PB and 100TB per hour performance in the cloud. “ObjectEngine offers an evolved, cloud-centric approach to business continuity that can help customers do more with their data,” Pure Storage general manager for FlashBlade, Matt Burr, said. Furthermore, Pure Storage has added DirectFlash Fabric capability to its end-to-end Non-Volatile Memory Express (NVMe) and NVMe-oF (over Fabrics) support in Purity 5.2, the software engine of its FlashArray//X products. DirectFlash Fabric enables customers to improve performance of enterprise mission critical applications as well as new web-scale applications that traditionally have relied on direct attached storage. 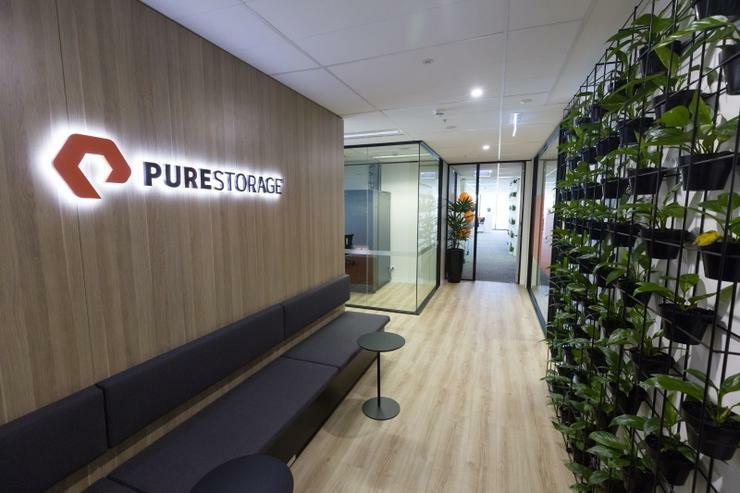 Recently, Pure Storage hired Matthew Oostveen as its chief technology officer and vice president of Asia Pacific and Japan (APJ), weeks after exiting Dell EMC. Channel Asia revealed the industry executive will also be relocating, swapping Sydney for Singapore as part of the move.